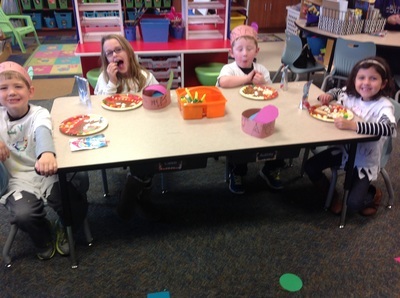 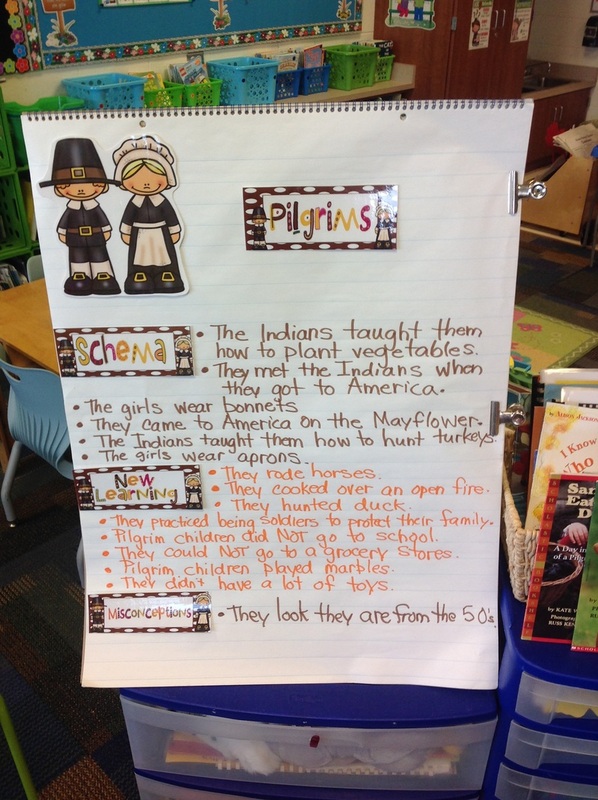 After reading about the Native Americans and comparing them with the Pilgrims, we had an Indian Day on the last day before Thanksgiving Break. 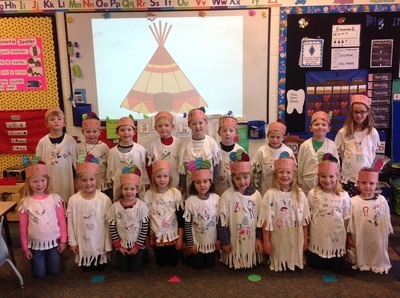 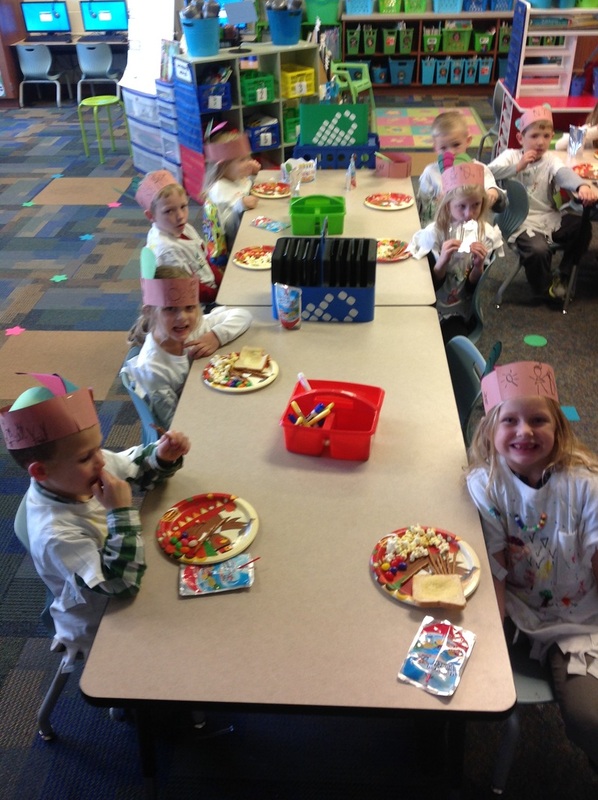 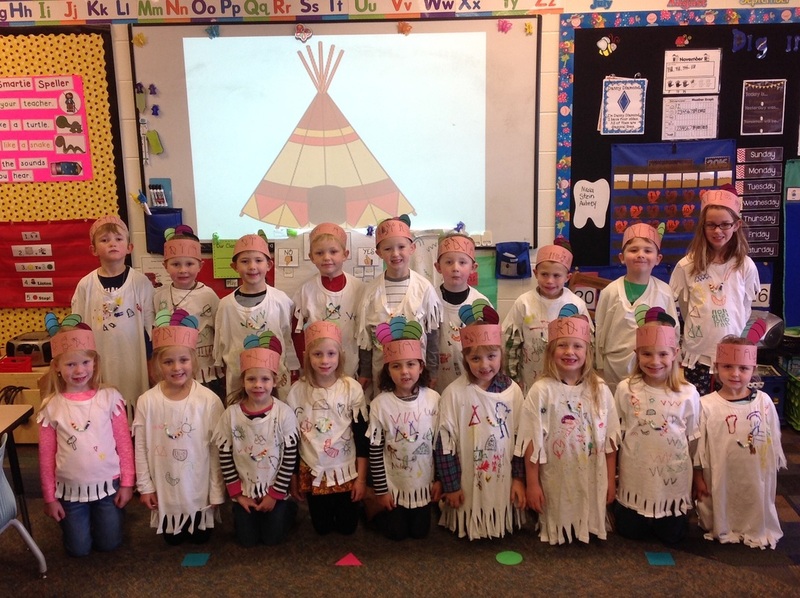 We dressed in fringed shirts with Indian symbols, made a headband of feathers that told a story with symbols, made a necklace to retell the First Thanksgiving, made wigwams/teepees, learned a Native American dance, and made a totem pole. 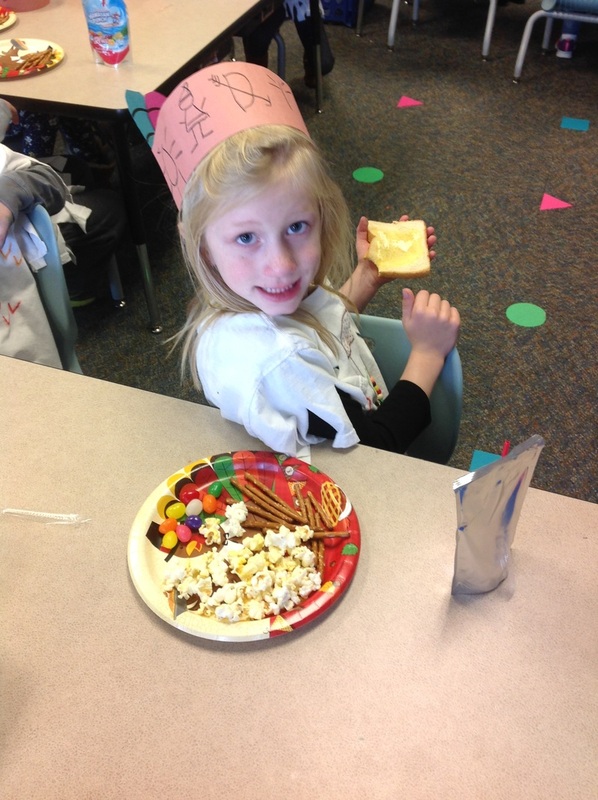 (popcorn, pretzels, toast, and jelly beans). 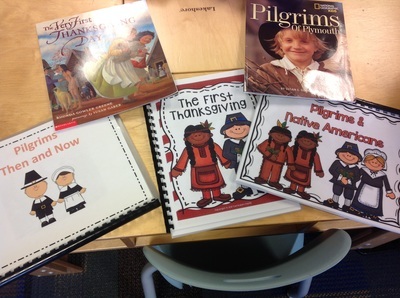 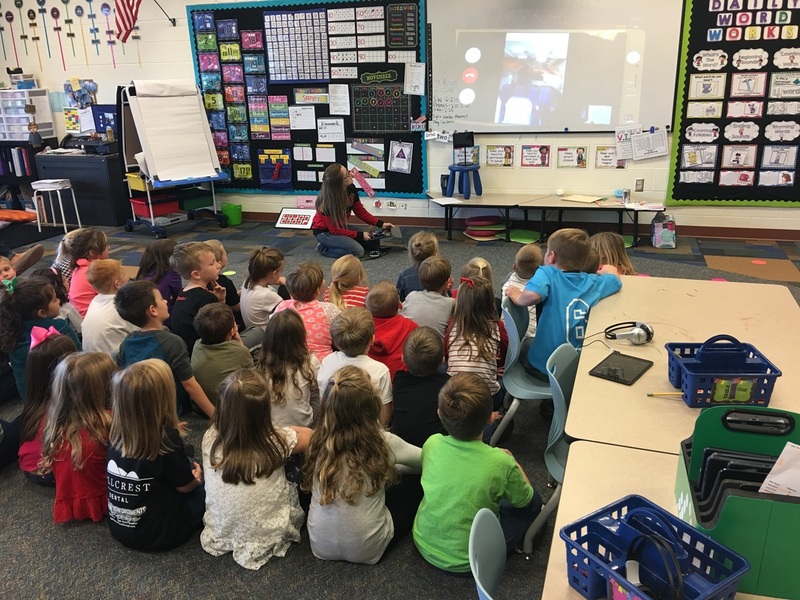 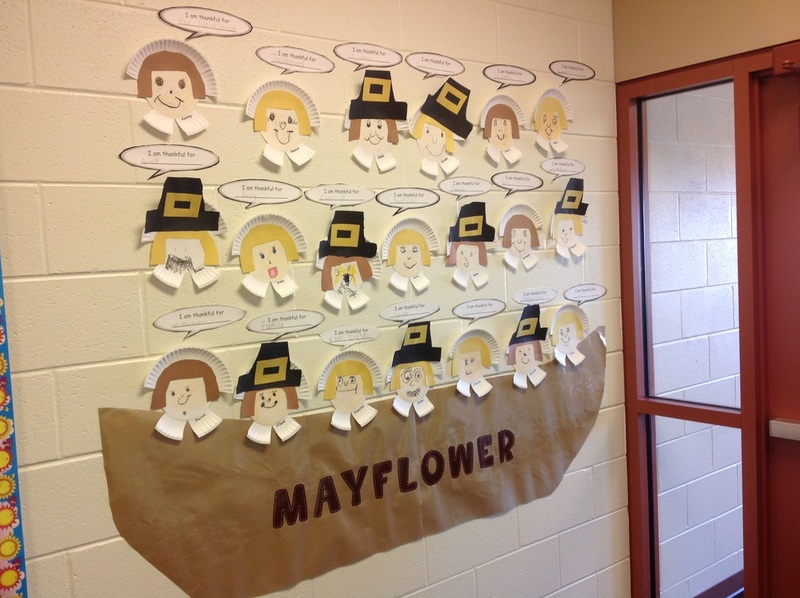 We read several stories about THE FIRST THANKSGIVING and learned about how the Pilgrims came from England on a ship call the MAYFLOWER and landed at Plymouth Rock. 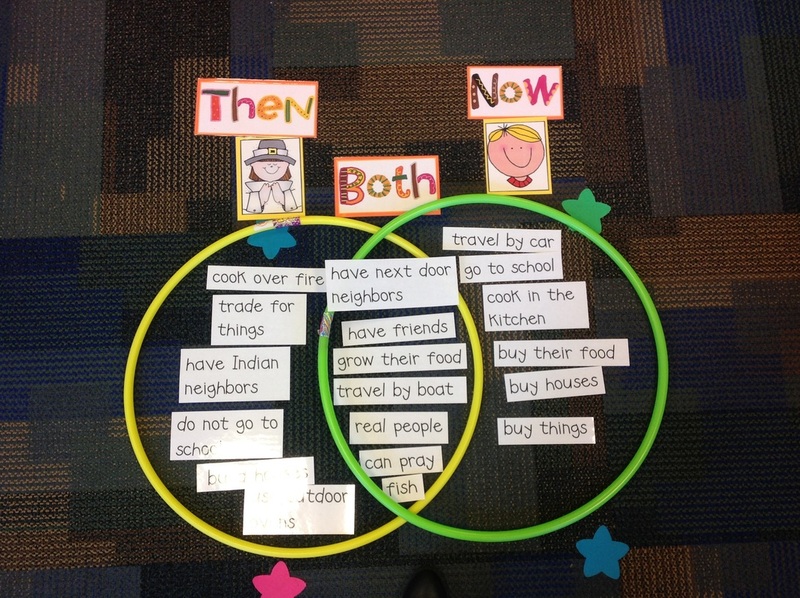 We compared/contrasted THEN to NOW. We also read a few stories about being THANKFUL. 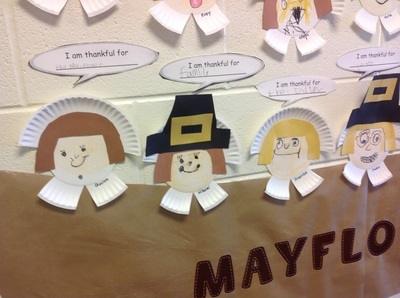 During writing time, we made a pilgrim boy or girl craft and wrote about what they might have been thankful for almost 400 years ago. We put our Pilgrims aboard our MAYFLOWER ship outside our classroom. 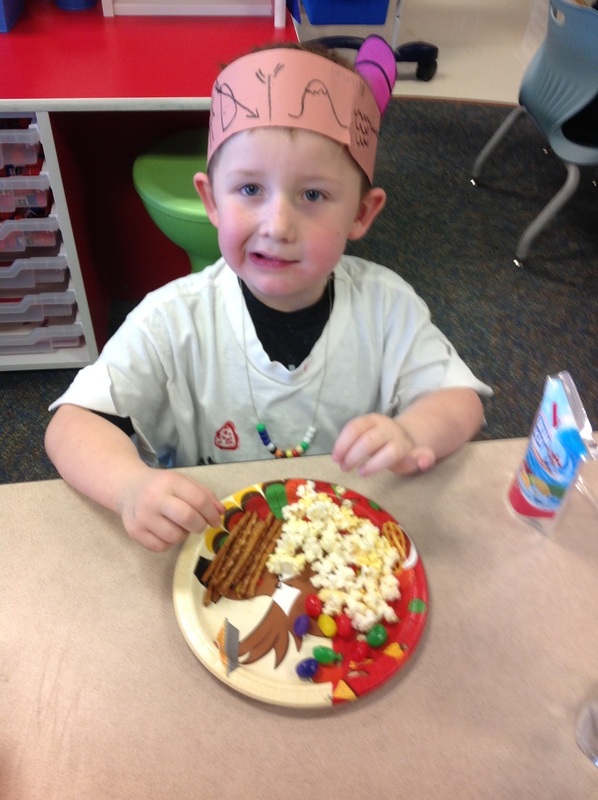 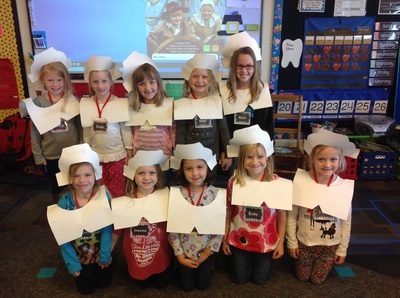 On Monday before Thanksgiving Break, we had a PILGRIM DAY. 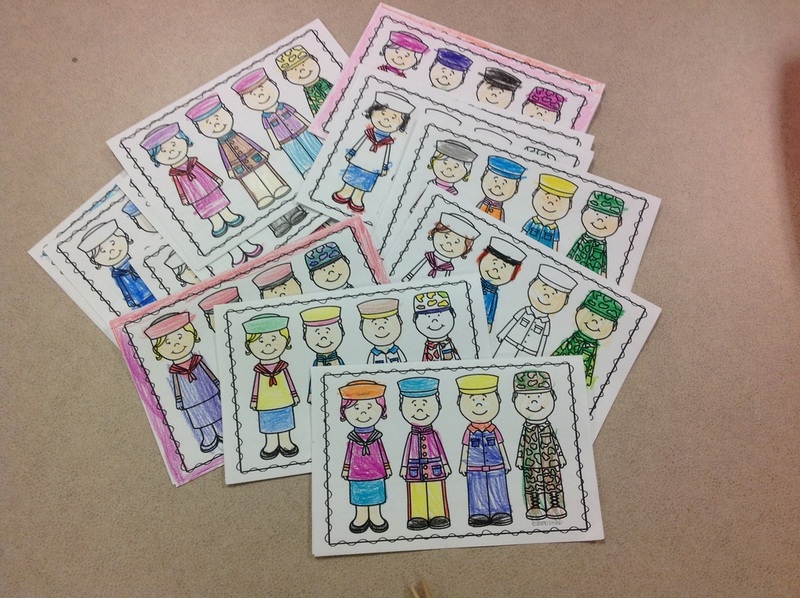 We dressed like pilgrim boys and girls, played games that they played long ago, made and tasted homemade butter, and made a quilt. It was a day of fun! 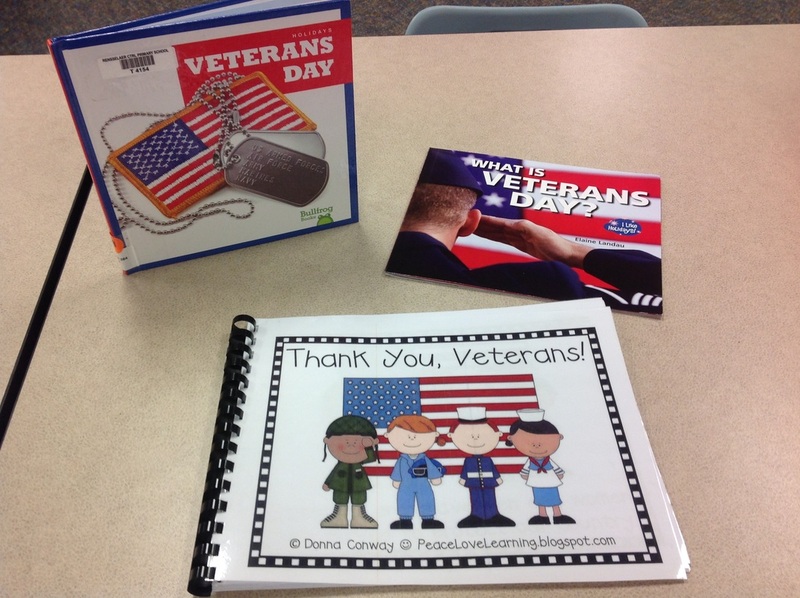 We read the story What Is Veterans Day and learned much about what a veteran is. 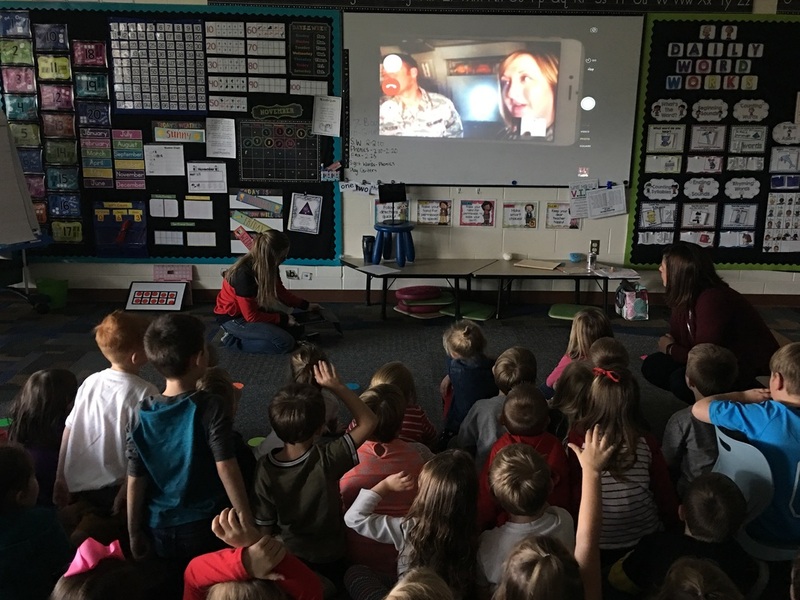 We were lucky enough to Facetime with a lady and gentleman in California that fuel planes for the United States Air Force. 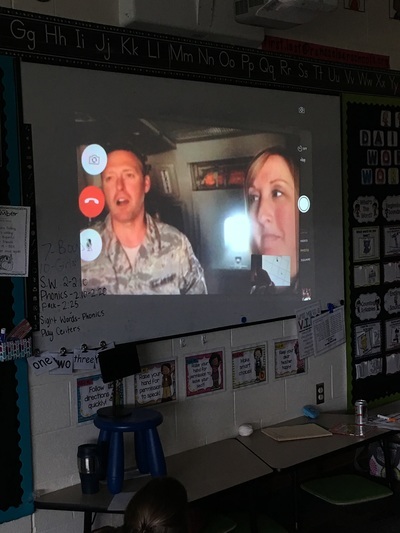 They gave us a tour of the inside of a plane, and explained the process to us of how they fuel another plane while in the sky. 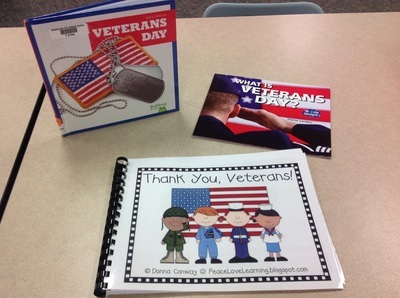 It was truly an awesome experience. 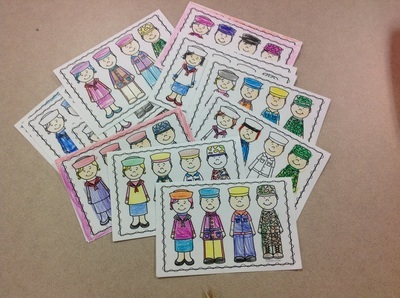 Afterwards, we wrote "Thank You" cards thanking them for all that they do and for keeping us all safe! 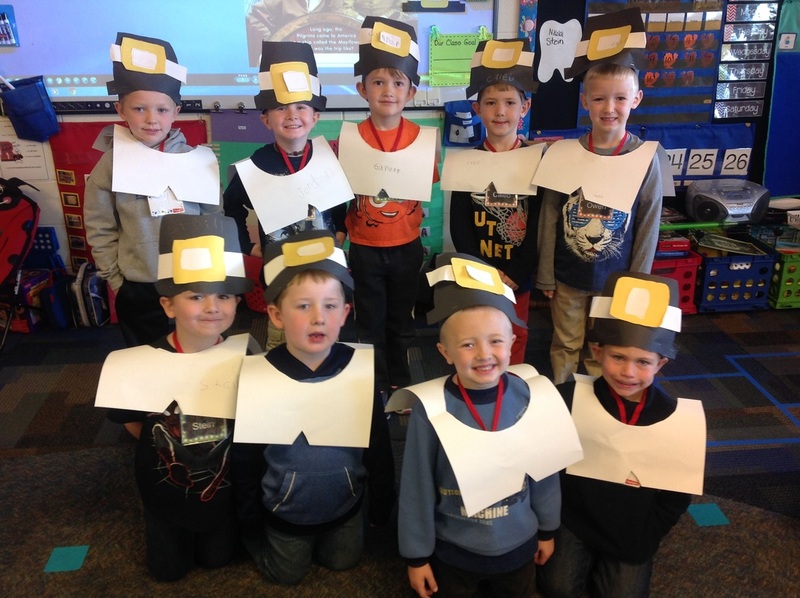 We read, Duck for President by Doreen Cronin to discuss the election process. 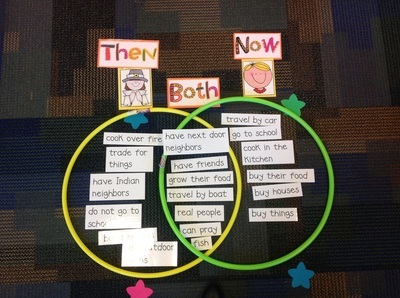 In the story there were two characters that were our candidates for President of the farm. First, we each made a voter's registration card. 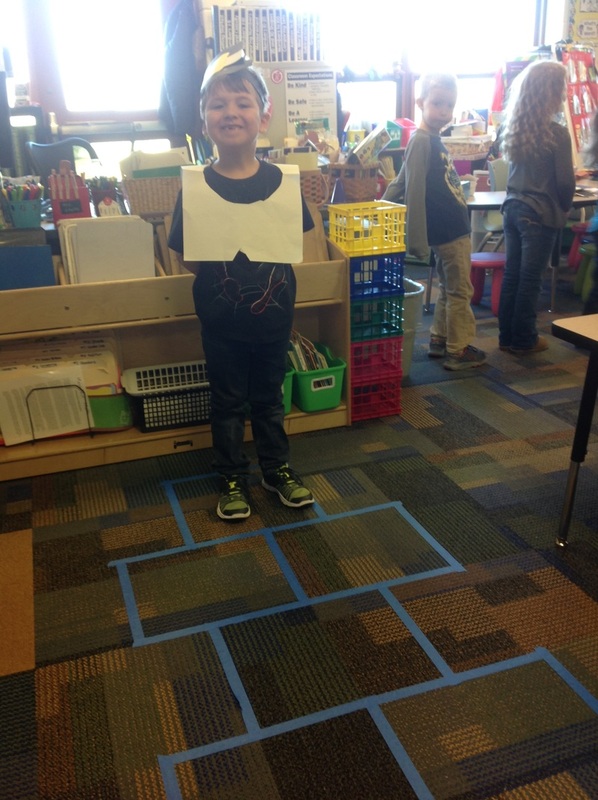 Next, we voted using paper ballots in our voting booth. 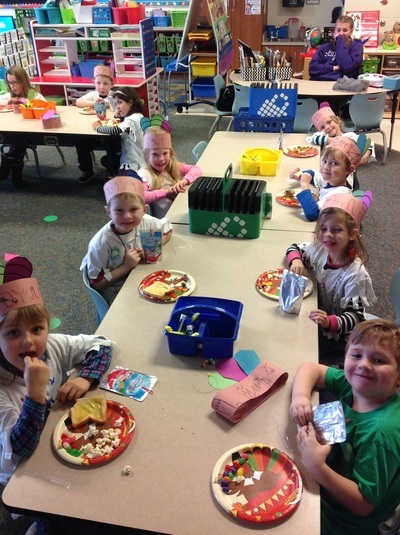 Each student received an "I Voted" badge after voting. 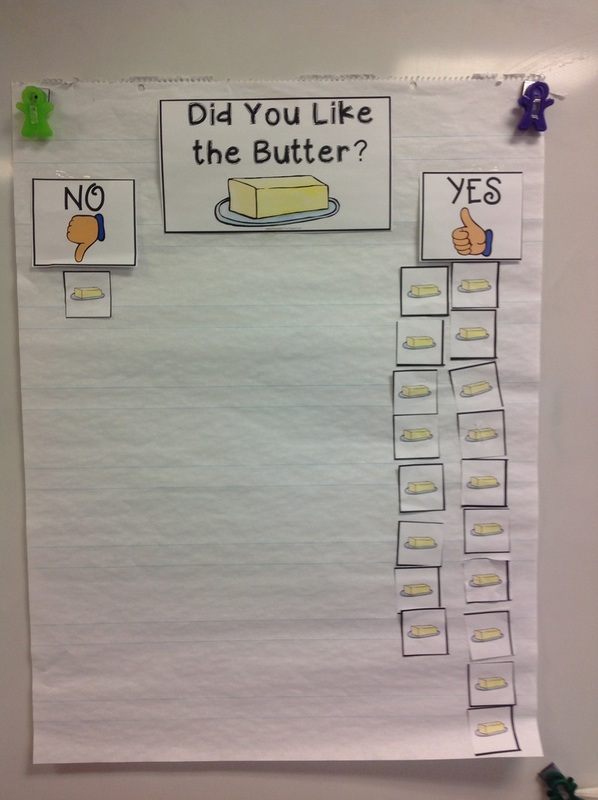 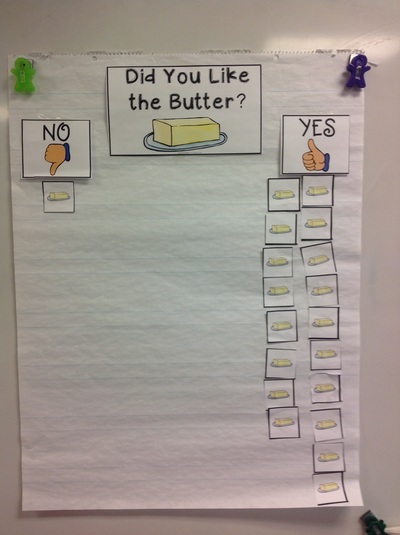 It was a close race in our classroom, but Duck won!